Sony has just announced a new Exmor R sensor for smartphone’s camera called IMX318. It will enable the handset to get up to 22.5 megapixels. And Sony Xperia Z6 camera is very likely to own that one! When there has been a lot of information related to other flagship phones such as Samsung Galaxy S7, LG G5, HTC One M10, etc. released these days, Sony said just a few about theirs. Well, but when they reveal something, it’s amazing. Lately, the company has unveiled a new phone camera sensor which is more advanced than what we’ve known. It will be smaller than current versions, but produce better images with less motion blur, and much faster and more accurate autofocusing. Speaking more specifically, it is a new Exmor RS sensor named IMX318) with 22.5 megapixels. Furthermore, it is said to be the first one “equipped with built-in high-speed autofocus”, which is that it can lock focus in just 0.03 second, and enhance video capture thanks to a built-in 3-axis electronic image stabilization enabling handheld shots to remain steady. Say, we bet upcoming products of Sony will be more and more powerful thanks to this tech. Besides, new super-fast autofocus was also mentioned. The firm introduced a new “Hybrid AF” system whose function is to combine PDAF with contrast detection autofocus. It helps the sensor to lock focus at only 0.017s even while shooting videos at 60 frames-per-second. That is COOL! When will this high tech come to life? According to the source, Sony wants their new Exmor RS sensor to officially work from May, 2016. 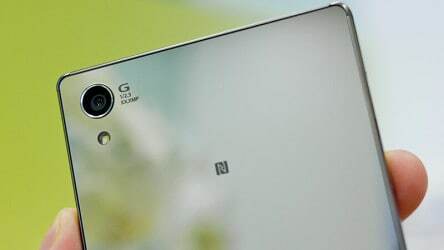 No doubt Sony’s next flagship smartphones, including Sony Xperia Z6, as well as other manufacturers’ devices will be able to employ this high tech soon. And we – the users, will have chance to gain greater experience in taking photos while the Japanese giant “puts its stamp on the mobile photography market this year”.